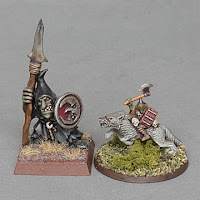 This month we get back to normal service, looking at a variety of minis available from some of the lesser known manufacturers, with a return to the classic fantasy staples of elves, orcs and undead. The Russian Alternative is a new mini company from, er, Russia. 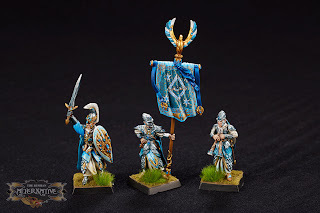 These elves are very nice, but make sure you check out the website for a look at their chaos marauders too. A small range but very promising, they just need a major distributor to step in and help them. 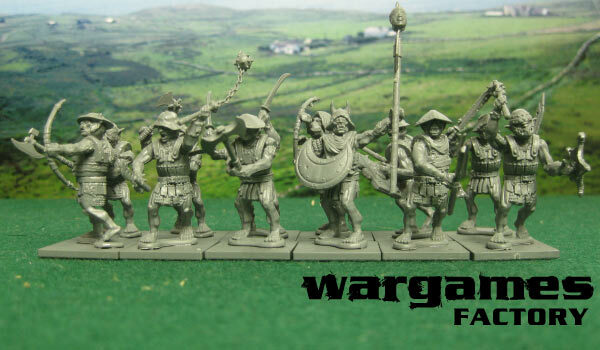 These Wargames Factory orcs are a nice change from the usual cartoon grinning gorillas. 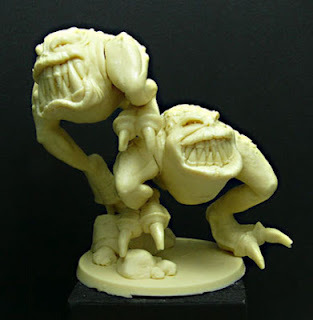 Would you like some giant bipedal snapping maws for your orc and goblin army? Have a look at these, from Raccolor Art. Undead gamers have a good choice of alternatives when it comes to character models. I have featured Enigma Miniatures before, but their range is so good that I keep going back to them. 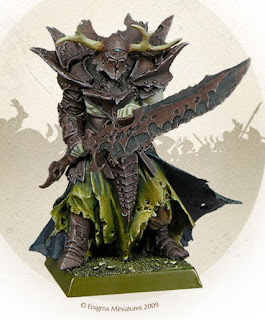 Here are a pair of figures that would make lovely wight kings. And finally, if it's wraiths you seek, then check out these from Otherworld Miniatures. They also make some of the finest skeletons in the business, if you don't mind the expense of metal figures. Unless you have been living under a rock for the past month, you will no doubt have seen the buzz on the web about various pledge programs. I mentioned a couple that were of interest to me in previous posts (here and here if you were not paying attention). Well, the end of the month has arrived and I have made my choices. It's a shame that these projects all seemed to kick off at once, otherwise I might have been able to offer more support. My biggest spend was Sedition Wars, biohazard level. This started out a decent deal, even with overseas shipping to contend with. But as the month went by, it just got better and better, with absolutely stacks of add-ons. The fact that Studio McVey were able to step in and handle import concerns was a massive plus point for me, it showed what a decent company ethic they have. And the product looks top notch. Even if the game turns out to be average or poor, the sheer amount and quality of the minis alone is well worth the cost. All this for just $100? SOLD! My other pledge was for the Avatars of War dwarf project. When this was announced I was very excited, I love the dwarf range by these guys. 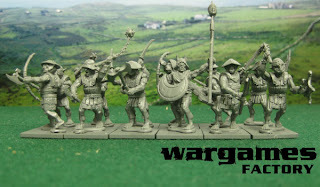 I have a handful of their metal models and the plastic dwarf berserkers were probably the highlight of 2011 for me. In fact, I even said in a post back then that if they ever released a dwarf range I would bin my GW models and start again from scratch with AOW models! 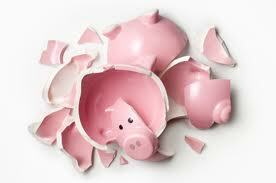 However, when it came to putting my money where my mouth was, I fell flat on my face. 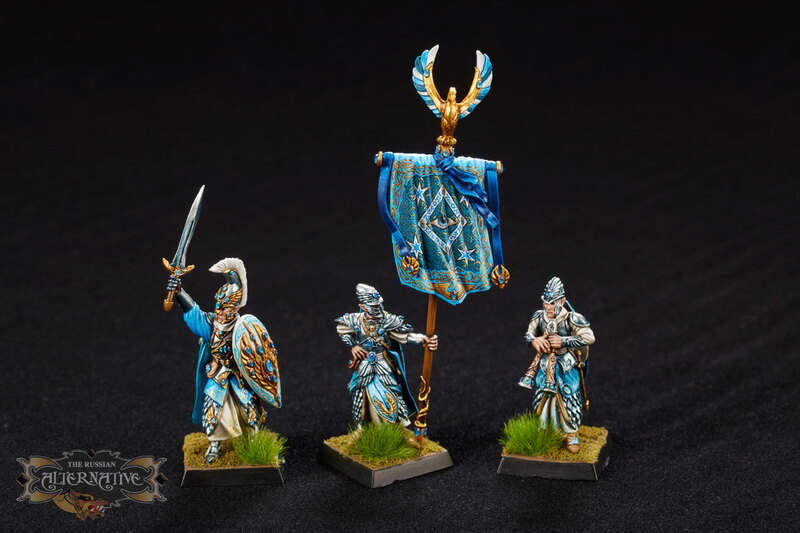 I pledged just $15 for the exclusive army standard bearer (even though I have no idea what it will look like). My wallet is exhausted after all the recent hobby purchases. There's a very good chance that I will end up buying most of the new dwarfs when they are released, after I have saved up some hobby funds. Like I said, it's a shame they both came along at once. ......not that big at all. Around 10mm to be precise. Recently I have been keen to take up smaller than 28mm wargaming. My interest was sparked by the rather excellent looking figures of Dropzone Commander, but sadly the start up costs of even a modest pair of armies was beyond my reach. Putting aside that disappointment, I started to look around at other ways to game at small scale (and hopefully small cost). Warmaster is probably the best known game that can be played at 10mm scale. From my research on the web, it seems to be very highly regarded and has spawned a number of other rulesets, but I have never actually played it myself. I have played Blitzkrieg Commander, one of the spin-offs, and it was my enjoyment of this game which really switched me on to the premise of small scale gaming. But then the question arises, which scale to go for? Infantry at 6mm are not much more than tiny pegs and detail is really hard to distinguish. Vehicles are just about recognisable, though it can be hard to differentiate a panzer III from a panzer IV when they are both smaller than a fingernail. At 15mm figures are much more detailed and easy to recognise, but it can be difficult to play grand battles, unless you happen to have a ten foot long gaming area available. To my mind, 10mm is a good compromise scale for epic sized battles, offering figures that are just about large enough to have a good level of detail so they are easy to recognise, but small enough to allow masses of them to be used in the standard gaming area of a 6 x 4 table. The obvious thing to do was to invest in Warmaster. It's consistently available on ebay, at reasonable cost too. 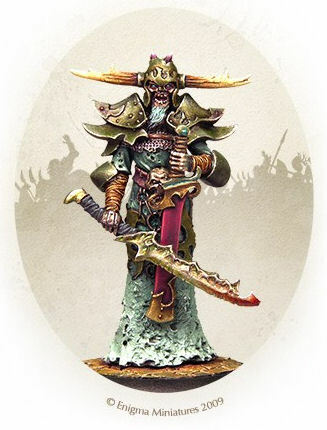 There are figures representing the more familiar Warhammer armies like the Empire, High Elves, Orcs and Goblins and the other usual suspects, with even some rarities such as Kislev troops, though these are more expensive. But then, I already have several Warhammer armies and some of them seem to have grown to epic proportions already. So how about Warmaster Ancients, or Historical, or the new kid on the block, Hail Ceasar? These games can be played at various scales, from 6mm up to 28mm, so any one of them would be suitable. Again, scouring ebay showed that there is a regular trickle of 10mm armies for various historical period, from ancient Egyptians and Assyrians, right up to Napoleonics, with pretty much every other era in between covered by one manufacturer at least. Historical gaming at 10mm is certainly a potential option at some stage. But like so many of my wargaming choices, my ultimate decision came about by accident. The Battle of Five Armies boxed set was released by GW back in 2004, as part of the mass of Lord of the Rings merchandise. It was one of many, many releases at the height of the Tolkien movie mania, but it never really received much support. I know I dismissed it as a gimmick at the time, but when a copy came up for sale on a forum recently I snapped it up. The box contains a couple of starter forces, with reinforcements in the shape of metal blisters. I think I have at least one of everything that was released, which gives me a couple of decent sized starter armies. All for around the cost of a marine battleforce! The figures below are part of the boxed set, Wargs and Wolf Riders from the evil army. Fighting on the good side are dwarfs, elves and men, with a few special guests such as Beorn, Gandalf and the eagles. As you can see in the picture, the plastic figures are small but well detailed. I have speed painted them by airbrushing a base coat, then a wash followed by picking out the odd detail. The aim is to get them painted quickly and make it easy to identify what the pieces represent. The effect comes from the mass of troops together, not from the painting of individual models. It's the summer solstice, the time of the year (in the northern hemisphere) when hippies gather round stone circles, drink cups of blessed mead and dance naked around the campfire. I guess that's as good a way as any to celebrate the longest day. I thought this would be a good time to review my projects over the last half year, look at progress made and make plans for the next six months. I said at the start of the year that this was likely to be an uncertain year for me, and that has certainly turned out to be true. On the Warhammer front, the year started well for my chaos army, as I added a unit of marauders and a sorceror, followed by a lord on a polar bear (daemon steed). Running out of steam with the armoured butchers, I switched to the wood elf army and built and painted two unit of treekin, bringing my army almost up to 2000 points. So the painting was going reasonably well, but I was not enjoying the gaming too much - the game does not have the same appeal it once had. 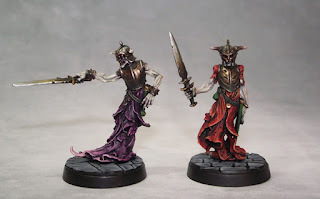 I'm afraid my dream to have a new Vampire Counts army painted for the autumn is the major victim of this apathy. Perhaps it will be resurrected later in the year? Around Easter time I decided to switch my focus to painting just for the sake of painting, not concerning myself with units for a specific army. A Studio McVey Pan model and an Avatars of War dwarf were managed before I again had a block on my enthusiasm. I drifted for a few weeks before another Avatars of War figure rescued me from the doldrums, a goblin warlord was the result. Inspired by this I assembled a unit of 40 goblin warriors, painted half of them and then spluttered to a halt. 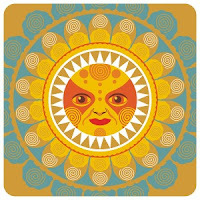 For the past month my enthusiasm for painting and gaming Warhammer has disappeared, like the so-called English summer. While Warhammer is on the wane, other systems have been discovered and tried. Blitzkrieg Commander has proved to be a very enjoyable game, while recent sessions of Saga have probably been the gaming highlight of the year to date. I am currently planning on how best to build several warbands at low cost. I was hoping to also take up Dropzone Commander, but the fairly high entry cost has proved too much of a hurdle in these stringent times. However, I have not given up completely on the prospect of 10mm gaming and have an alternative project in mind. Looking ahead, I have one or two painting projects in the planning stages, with a few ideas to shake up my painting routine and hopefully push myself to something new. The Saga warbands and the 10mm project will probably take the major chunk of my summer hobby time. After that, well I think it's best to just let the autumn winds bring whatever they may. Lumme, I shrunk the figs! Does anybody say "lumme" these days? I think it was a word used in the 1960s and 1970s British sitcoms, and was a staple of kids' comics when I was a youngster. It was the best I could come up with for a play on "Honey I Shrunk the Kids". Enough waffling, the subject of this post is teeny tiny soldiers. 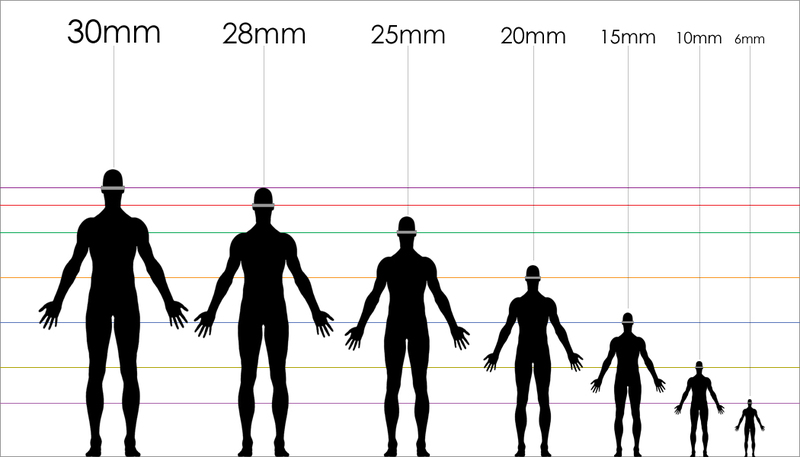 Here's a handy chart to deftly explain the different scales most miniatures conform to. 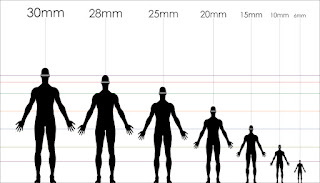 The left hand of the scale is the one most of us are familiar with, Warhammer figures (and most of the well known miniatures games) are nominally 28mm but probably nearer to 30mm. The Lord of the Rings figures are 25mm. Flames of War figures are 15mm scale. At the far right of the scale is 6mm scale, as far as I know this is exclusively the domain of some historical figures, think mass regiments to recreate the battle of Waterloo, that type of thing. So what about 10mm? Which games can you play at this scale? Why would you want to? It's probably easier to answer the question with another picture. This is a John Blanche diagram from a Tolkien book, showing the Battle of Five Armies from The Hobbit (coming this winter to a cinema near you). There are thousands of figures involved. Imagine trying to recreate this in 25mm scale, you could spend a lifetime painting the figures and need a 20ft board to fit it on! At 10mm scale battles like this are much more achievable. 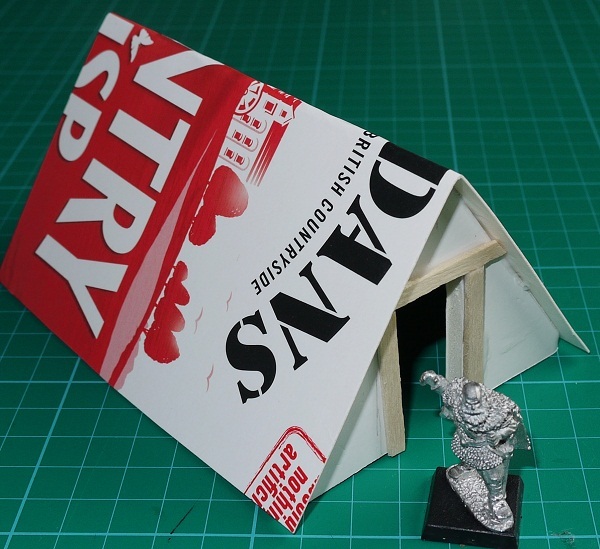 A standard 6x4 table will be ample space, and armies of thousands can be represented by groups of stands that each occupy a footprint of about 40x20mm. GW's warmaster is a fantasy 10mm game, while historical players have a few rulesets to choose from. Sci-fi players have less choice, there's Epic 40,000 and the newcomer to the block, Dropzone Commander. 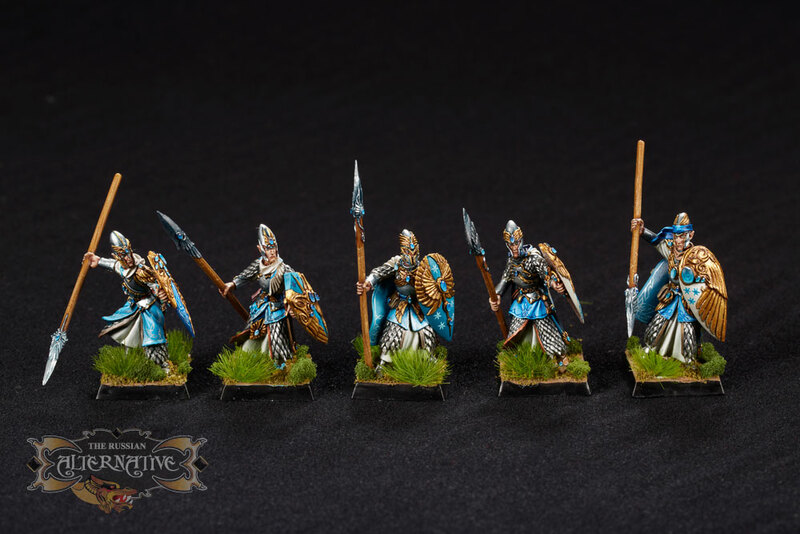 In terms of minis available, there are quite a few manufacturers selling 10mm historical figures, though frustratingly their websites can be a bit coy about providing images. Presumably this suggests that the quality is not that good, why else would you not advertise your wares on your own website? GW still sell some Warmaster figures, though they tend to be much cheaper on ebay. It's surprising to me that 10mm is not more prominent in gaming. There are plenty of rulesets that specifically support the scale, while any ruleset can theoretically be adpated with a little work from the gamer.There are many manufacturers, even if you do have to hunt around for some of their images. Despite these obstacles, this is a scale I intend to explore in the near future, with a starter set winging it's way through the postal system in the next few days. There are some good, reasonably priced dark ages building available on the web, those from Gripping Beast in particular seem excellent value for money. But if you have a little time and some craft materials to hand, it's pretty easy to build your own. Here's one I made earlier. The first thing I did was browse the web for some ideas. 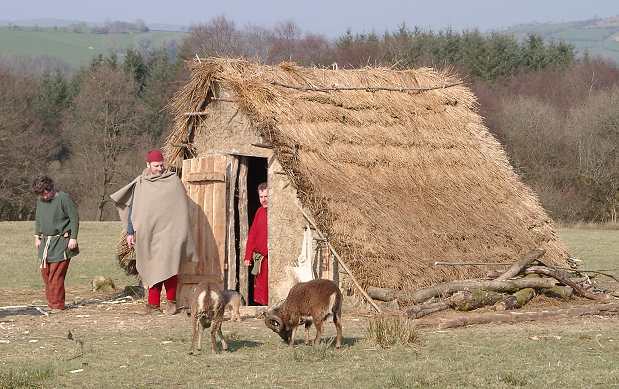 This Saxon grubenhaus seemed nice and simple, it's basically an A-frame with a thatched roof and a door. I cut out two triangles from foamboard, though thick card would probably be strong enough. Using a viking figure as a size guide, I cut out a door opening. The timber frame door surround is made from a wooden coffee stirrer, easy to cut/trim with a craft knife. The roof is just a piece of cardboard from a cereal pack, folded in half. The two triangle ends I glued to the roof, using pva glue. There's also a third foamboard triangle glued in the middle to help make the building more rigid. With the basic structure complete I added some texture. 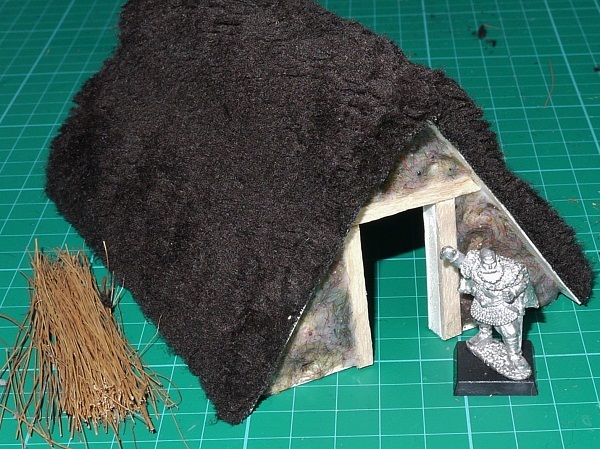 For the daub covering the walls, I mixed some sand and static grass with pva and smeared it onto the walls. For the thatching I was originally going to use bristles from a coco hair brush which I had bought for about a £1 from a local supermarket for just such terrain purposes. 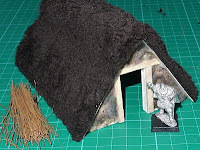 However, a quick google showed that other terrain builders used teddy bear fur. I was lucky enough to have an old fake fur cushion cover, so this would be perfect. I cut it up and glued it with pva to the card roof. The final stage was to make a door. I chopped up some of the coffee stirrer, carved off a few bits to make it look a bit more rough hewn, then glued these planks to a bit of cereal card. I should have left a little bit of card to act as a hinge to secure the door to the frame. Note to self for next time. 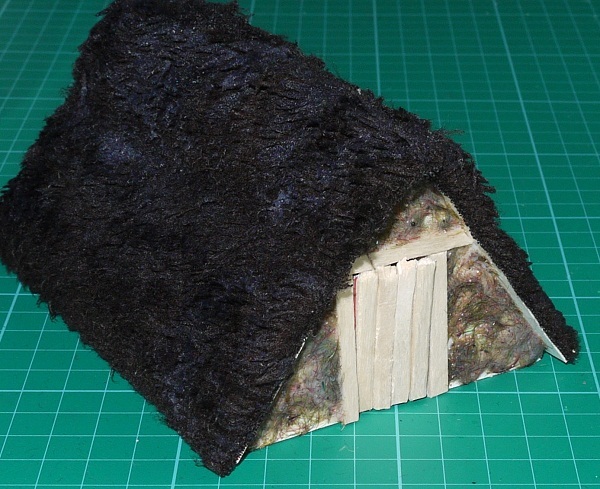 The very last thing was to paint some dilute pva glue on to the fur thatch and ruffle it up a little. When dry, the stiffened fur is easier to paint. That's all there is to it. Not bad for an hour's work using a few bits from around the house. I might glue it to a plasticard base and add a few bits, like twigs from the garden, to act as log piles, maybe a spare axe. 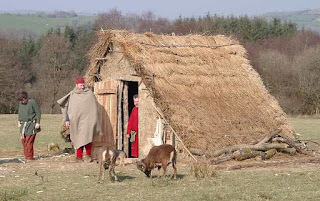 I would like to build (or buy) a couple more buildings, maybe a field or three, to make a reasonably convincing settlement for my vikings to raid and pillage. At one time I dabbled in historicals. I had joined a wargame club to play Warhammer, but found that many of the members preferred historical gaming. I borrowed armies for a few games and finally decided to take the plunge with a small viking force. For reasons I forget (it was about 12 or 15 years ago), I never got very far. I painted up a small handful, including these three figures, then moved on to other things. The unpainted horde remained stashed away for many years, until finally I sold most of it. 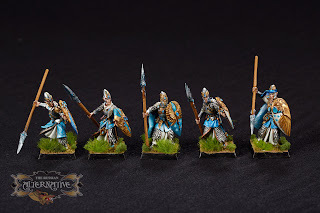 In the past year or so I have heard many good reports of Saga, a dark ages skirmish wargame. I mentioned this to my gaming buddy to see if he would be interested. He seemed reticent, so I pushed it to the back of my mind. But then suddenly, a couple of weeks ago, he told me he had bought the rulebook and was busy painting up some vikings and saxons. Game on! Last night I had my first taste of Saga. After a quick practise game with a very small force, we set up a larger game (a four point game, which is the starter level I think). We got stuck in, rushed towards each other in a really stupid fashion and had both warlords hacked to bits. No matter, the battle continued until finally the last viking fell dead. Obviously we had been foolish and not played the game to it's fullest potential. But even from this brief glimpse we both realised that the game has fast, easy to learn rules, with plenty of scope for tactical thinking, with a bit of dice luck thrown in too. It's played on a 3x4 table, takes about an hour or so, the starter forces are compact (around 24-36 models), with a little leeway you can use one set of figures to represent a few of the factions, and there's even some plastics available to keep the cost down. If that doesn't get the gamer juices flowing, then nothing will! The first step for me is to assemble a force of my own. I have dug out the old viking figures, some will be suitable I think. I probably have enough figures to put together a 4 point warband, but ideally I would like to build a 6 point force. 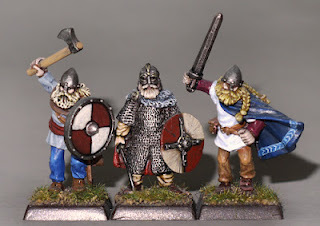 These figures can be used as either (duh) vikings, jomsvikings or Anglo-Danish. In the longer term I would like to try the Normans/Bretons, but that's getting ahead of myself. The first thing I have to do is strip these old figures and crack on with painting. Let the Saga begin!